Olympus Superior Protein is a protein supplement with a perfect blend of whey protein concentrate and micellar casein which have different absorption rates and thus help you stay in an anabolic state, both in the short and long term after a workout. What is more, it comprises two patented formulas – Velositol®, maximising muscle protein synthesis, and DigeZyme®, which speeds up the absorption of nutrients in the gastrointestinal tract, thereby increasing their supply to myocytes. Protein is one of the most valuable macronutrients found in nature. It has to be supplied in a diet to maintain the body’s homeostasis. In the human body, proteins have ,for instance, immune and regulatory functions (in extreme cases they are also used for energy purposes). Nonetheless, they serve primarily as a building block, which is most often seen in persons doing sports. Increased physical activity is associated with enhanced nitrogen metabolism. In practice, this leads to damage to muscle fibres which are repaired. In order for this to happen, you need a sufficient amount of proteins which are broken in the gastrointestinal tract into amino acids and are used in myocytes for recovery purposes. Dietary deficiencies often limit the regenerative capacity of muscle cells. Because of that, you should should maintain an adequate intake of proteins. This is even easier with protein supplements which are enriched with non-protein ingredients. Because of that, they are much better absorbed, have stronger effects and are easy to use. You cannot effectively build huge muscles without the right stimulus (a hard workout) and a high quality building block. There are many protein blends on the market which differ in absorption rates, amino acid content and primarily anabolic potential. What is more, the patented Velositol® formula and 5 g of branched-chain amino acids (BCAAs) per serving maximise the efficiency of muscle protein biosynthesis. It has been demonstrated that Superior Protein has 47% higher efficacy in promoting muscle growth than standard protein supplements. What is more, Velositol® does not only enhance MPS but also increases the sensitivity of myocytes to insulin, thereby enhancing the uptake of glucose and amino acids, necessary for intracellular anabolic processes. Retained gastric contents may undoubtedly cause discomfort. However, they also delay nutrient transport to muscle tissue. When it comes to muscles, this is very unhealthy and thus hinders recovery. In order to maximise the benefits of the “anabolic window”, the manufacturer added DigeZyme®, i.e. a special formula with digestive enzymes, to aid nutrient absorption. As a consequence, the digestion process is much faster and food does not stay too long in the stomach and may get into myocytes faster. The product may be also used by individuals with lactose intolerance because it contains lactase which is responsible for the breakdown of this disaccharide and reduce gastric discomfort after its intake. To sum up, Olympus Superior Protein is a top-quality protein supplement for everyone who wants to maximise the efficiency of nutrient absorption and repair of muscle fibres damaged by hard training sessions. A balanced blend of whey protein and casein has led to creation of a supplement which can be consumed just after a workout for quick recovery and with any meal to inhibit catabolic processes. Take 1 scoop (33 g) per day (or depending on the need for protein), mixed with 250 ml of water or milk. The supplement is designed especially for individuals doing strength training who are willing to maximise the regenerative capacity of muscle cells and thus stimulate anabolic processes and muscle growth. We recommend it to those with dietary protein deficiencies. In order to enhance anabolic effects, incorporate a creatine stack or one form of creatine to your supplementation regimen. Remember that the supplement cannot be a substitute for a healthy diet and it should be only an addition to wholesome meals. Rice, Sugar, 2% or less of Semisweet chocolate (Sugar, Chocolate, Dextrose), Partially Hydrogenated Vegetable Oil (Coconut, Soybean, and/or Cottonseed), Salt, BHT for freshness, Gum Blend (Cellulose gum, Xanthan gum, Carrageenan), Natural and Artificial Flavors, Clean Cream [High Oleic Sunflower oil, Tapioca Starch-Modified, Tapioca Dextrin, Natural Flavors, D-Alpha Tocopherols], Salt, Silica, Acesulfame Potassium, Sucralose. An advanced fat burner. 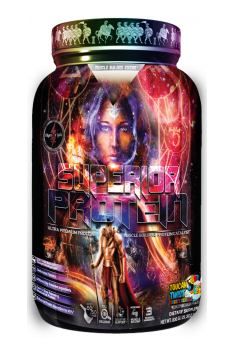 Facilitates reducing body fat and helps to suppress the appetite. Casein is the protein contained in milk, has several fractions: alpha-, beta-, gamma- and kappa-casein. It has a high nutritional value because of the participation of essential amino acids and BCAAs, retained in the body by a longer digestion. Confirmed, by the scientific research, their strong anti-catabolic potential. The most common form of casein preparations are micellar casein and casein with calcium hydroxide. A weak point is that it is less soluble than whey protein. Should be used during long breaks between meals by both athletes and physically active people. Available at www.muscle-zone.pl. Dosage: 30 - 90 mg / 24 hours, depending on individual needs, the consumption recommend especially before a long rest (e.g. night). WPC is a whey protein concentrate containing proteins obtained in the microfiltration process (sometimes ultrafiltration) of milk. Provides the body with essential branched amino acids (lysine) is not synthesized in the body itself. Bioactive components differ in chemical composition and, therefore, have different activity. Some of them allow the body to store vitamin A (retinol) and iron. The concentrate WPC contains i.e. : 36% of beta-lactoglobulin, 20% of alpha-lactalbumin, 10% immunoglobulins, albumin 5% blood serum, 4% of lactoferrin and transferrin. In the sports supplementation recommended for all sports, with particular emphasis on strength competition sports, endurance and building the body sports, due to the composition of the amino acids, digestibility and bioavailability, as a base for carbohydrate-protein supplements, protein bars and meals type MRP, available at www.muscle-zone.pl. Amylopectin and amylose are components of starch (carbohydrate of vegetable origin). The combination of these two components means that the main chain is highly branched chain, and side chains are attached with α-1,6-glicosidic bindings. Soaked in water to swell (but do not dissolve). Heated to a temperature above 50 ° C swells transforming into sol (named also gruel) and at high concentrations amylopectin achieves properties of gel. In the sports supplementation, drinks that contain amylopectin, faster supplements muscle glycogen (than e.g. Sugars). Amylopectin is one of the basic ingredients of the carbohydrate formula Vitargo, it is also included in carbohydrate concentrates, often enriched by electrolytes, as well as the supplements of carbohydrate and protein. Waxy maize (corn starch - wax) contains amylopectin (a glucose polymer) affecting the rate of digestion of the gastrointestinal tract and digestive tract due to the higher availability of digestive enzymes and glycogen replenishment rate. It is used in carbohydrate diet of people who have problems with the supply of natural foods. In the sports supplementation it is a component of carbohydrate, carbohydrate and protein supplements and creatine stacks.